Hi I am Mary Dravis-Parrish and I am on a mission! I am on a mission to take parents out of the classic mold that has been used to raise kids for centuries. I want to empower parents to be able to use their own unique way of being to parent their children. My first step in this mission is to let parents know that it is okay to step out of the mold, especially if it isn't working. The traditional mold that has been passed down is more about keeping kids and parents in a box of judgment and expectations rather than allowing both to bloom into the awesome beings they came here to be. Many parents are doing their best to try to meet and understand their kids, and yet still feel frustrated, confused and even angry that they aren't getting the results that they expected. I know I was there and I did all the things that the experts, our society, school systems and culture dictated. None of it helped me to know my children as well as I would have liked. None of it helped me to know what I was bringing to these relationships and how I was helping or hurting my kids through my own judgments, conclusions and expectations. 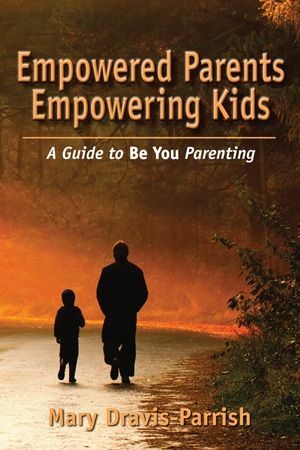 For over 40 years I have been searching to be an empowered parent and I have finally found the keys that take parents out of the box and into freedom and joy of parenting. I want this for more parents so that they too can experience true bliss, harmony and confidence as they raise our future generations. Families today are not just traditional families but they now include single parents, parents of the same gender, as well as grandparents raising grandchildren. Mary Dravis-Parrish believes that regardless of the structure of a family, families can thrive, be happy and successful in today's world. She also believes that the world will be a much better place when family life focuses on empowering parents and kids to be the unique caring beings they are meant to be. Mary provides simple strategies and techniques that allow each family to raise happy children that feel confident stepping into their unique gifts and talents to offer to the world. She utilizes her teaching experience along with her natural talents for getting to the root of what is causing distress, discord and dis-ease in family living. Mary Dravis-Parrish, brings her experience as well as her learning and certifications to address issues that parents face day to day. Being a child, living in a home of eight children, she discovered many styles to living, learning and coping, which lead her on a path to teaching children and working with parents to create more ease in family living. Mary’s parenting experiences include being a teen parent, single parent, co-parent, step-parent and a parent who lost her son to suicide. She understands the needs, demands, and dynamics that parents experience. Are you ready to make a few easy changes to create more of who you truly BE, thus allowing your child to connect more fully with you and with their own unique self? If so, then the Parent Whisperer is here for you. Mary schedules in person, phone and Skype sessions. You can follow her whispers on Facebook here and her blog posts here. Find out if Mary is the Whisperer for you by scheduling a 20 minute consultation for no charge here. In addition to one on one sessions and classes, Mary is available for public speaking on a variety of topics about parenting, empowerment and child care relationships. Take the Empowerment Survey to help you determine whether having a parent coach would bring more joy, ease and confidence to your life. Join Mary every Monday for Be You Parenting™ ​ Radio Show. Call in or chat to ask questions that will empower you to be the parent you truly be! Replays of each show available on most podcast stations as well as in the Inspired Choices Network archives. Mary Dravis-Parrish has over 25 years of experience as an educator, trainer, coach, speaker, and more recently an Access Consciousness® facilitator.Mary shares simple strategies that are highly effective, such as questioning strategies, release of expectation techniques, empowerment techniques and many more. 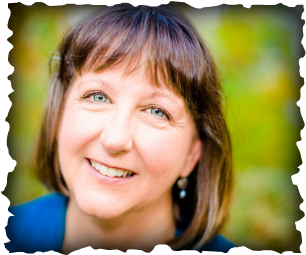 As a certified facilitator in Access Consciousness®, family dynamics, tutoring and personal development, Mary has equipped hundreds of parents and children with her simple strategies that have empowered families to thrive, have less chaos and more confidence. Applying her BE YOU parenting strategies, authentic training and tools, she facilitates change in people’s lives, so they have more understanding, awareness, joy and fun in all areas of living. Our free gift to you- Receive the audio of Chapter 1-3 when you sign up below. Start now to be empowered in ways you never thought possible.